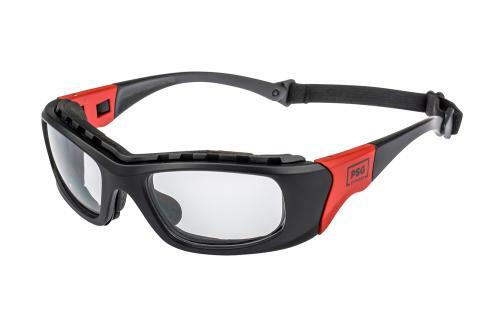 The Storm safety glasses prescription, is a wrap around pair of positively sealed safety glasses. They have a sunglass style, curved frame front to fit into the face’s contour to aid eye protection and comfort. 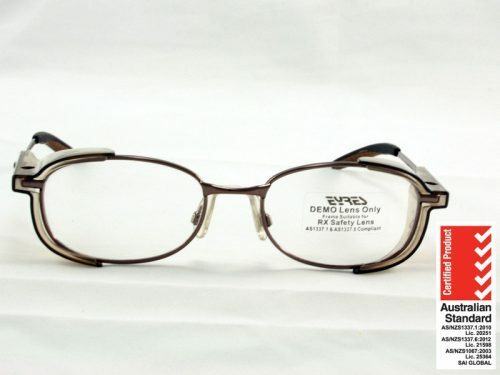 It has flexible temple ends that go over ears like most sunglasses to hold these prescription safety glasses close to the head. They are also positively sealed and non-conductive. 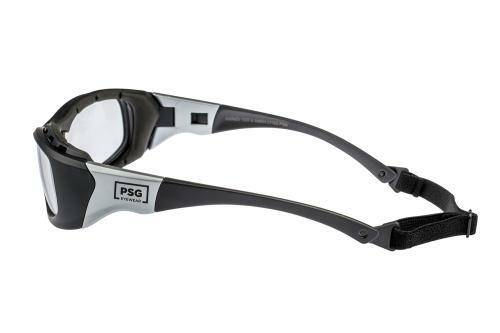 These Storm safety glasses are positively sealed, prescription safety glasses made by PSG. They are non-conductive and come with a removable gasket and strap. They are not unlike the Matador Mojo in appearance, but have a slightly more contoured appearance. Something that about the Storm frame that you might find interesting is the bridge width. The vast majority of safety frames have narrow bridges. Which isn’t very handy if you have a normal or slightly larger nose. The Storm frame by PSG actually has a normal size bridge to go over your nose. 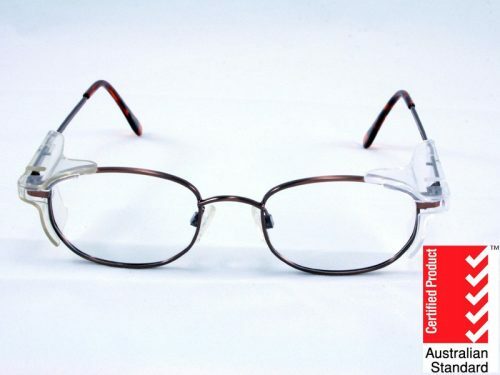 Which means that you can wear these positive sealed medium impact safety glasses, without a sore nose. 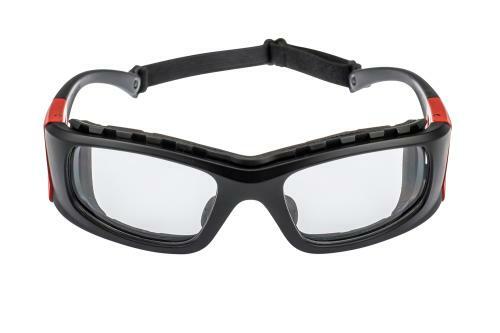 PSG has a lab in NSW to manufacture their lenses, so they tend to have a very rapid turn around on their safety specs. You can have to choose a black/red or black/silver coloured frame. 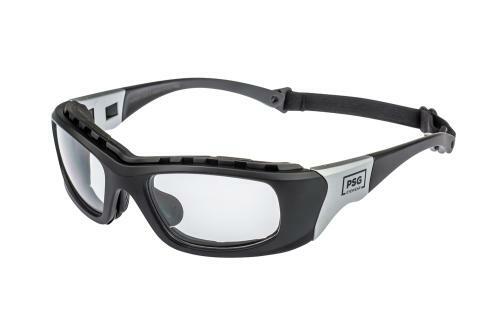 These are very stylish and comfortable safety glasses. 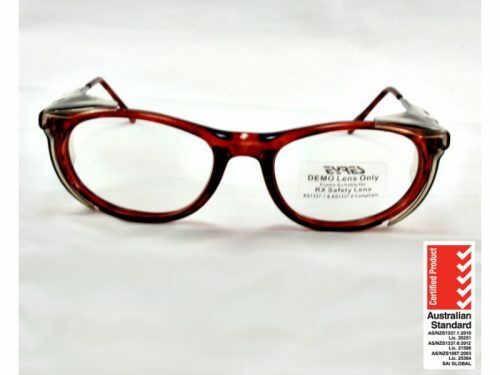 They are suitable for single vision, bifocal or progressive/multifocal lenses. 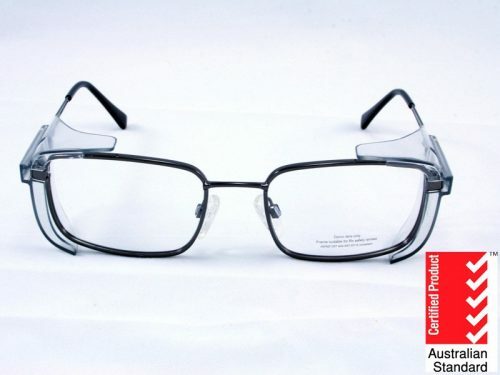 The listed price includes medium impact clear single vision lenses, safety certification and shipping world wide. The lenses are certified to Australian and New Zealand standard of 1337.6 medium impact.